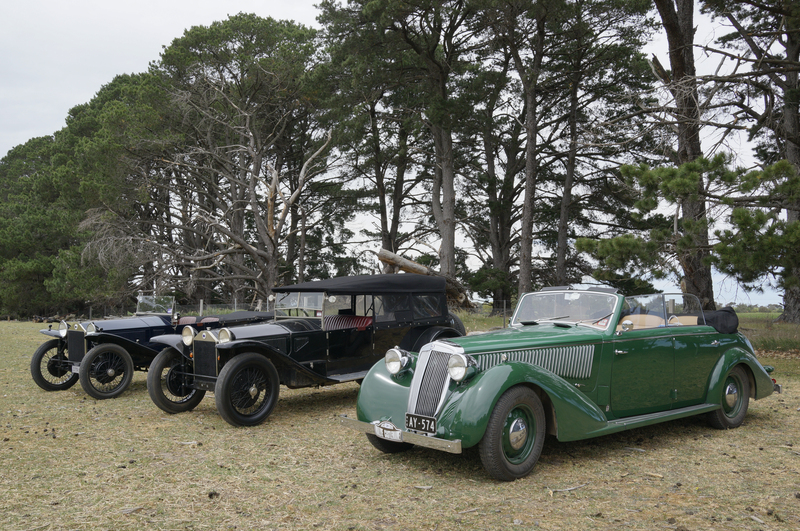 Every two years, the Australian Lancia Club hosts a large gathering of cars and people at Castlemaine, a small town north of Melbourne by about 70 miles. 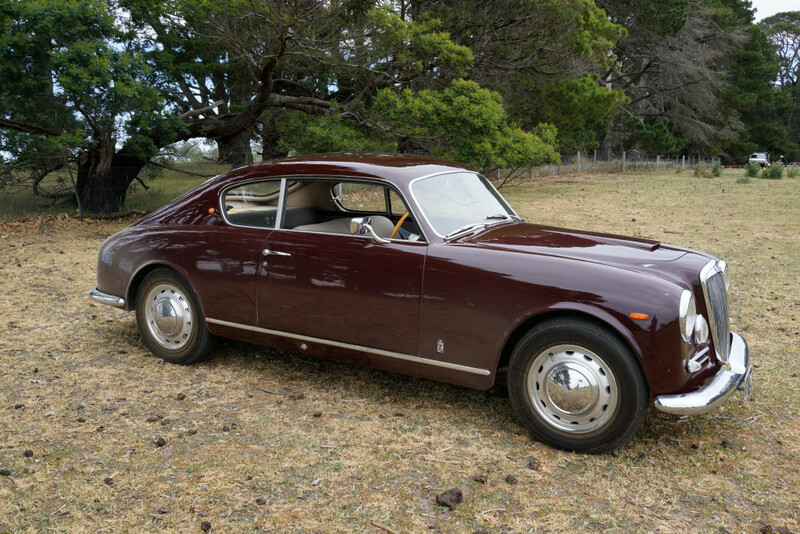 While far from Italy, the passion of the Australians is quite strong, and their commitment to Lancia cars is remarkable. The gathering is quite large, this year with some 80 cars, ranging from Lambdas up to Betas, with almost every model represented. For the Lancia fan, it is a unique opportunity to see and learn about the full model lineup from Lambdas on. 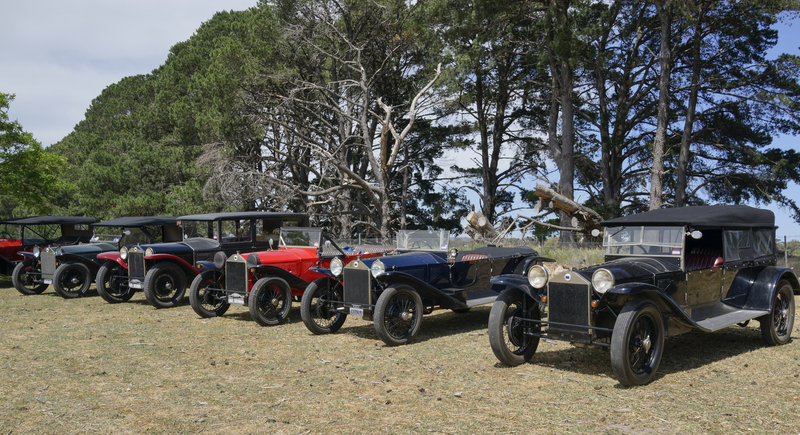 It is a tradition of the Castlemaine reunion to invite a Guest of Honor, typically from overseas, to share Lancia lore with this community, and this year, I had the luck to be invited. In years past, they have had some wonderful visitors – Tariff, Villoresi, Gobbato, Sandro Munari, and Stefano Falchetto. In recent years, Angela Verschoor (Flavia book author) and Mike Robinson (head of Lancia Design Center for some time) have spoken. 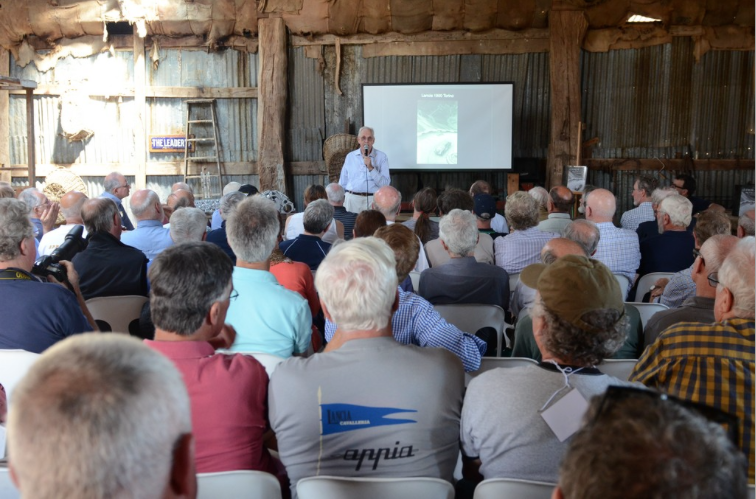 Peter Renou giving introduction to Lancia audience in sheep shearing shed. While it is a long ways to go, the reception in Australia was quite warm. I stayed with Chris Long, one of the Committee members organizing the event, and we drove up to Castlemaine in his Lambda. 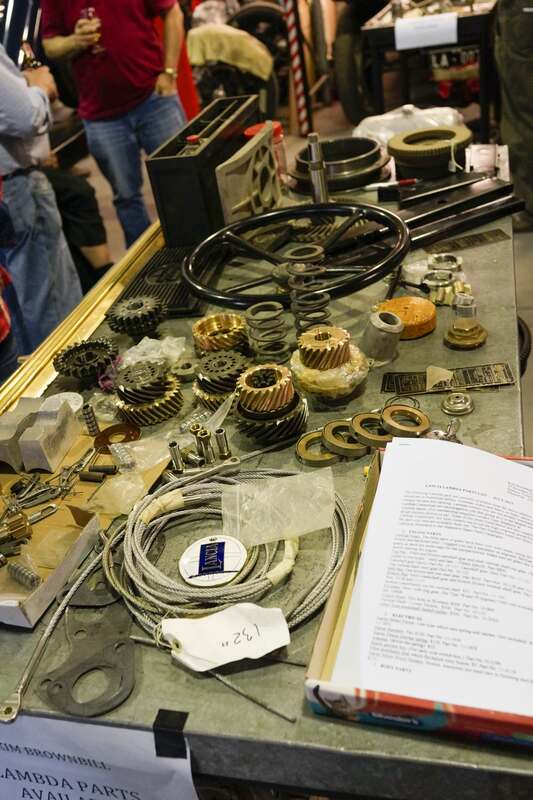 There, all was well organized and the rally was held the weekend of October 17-18. 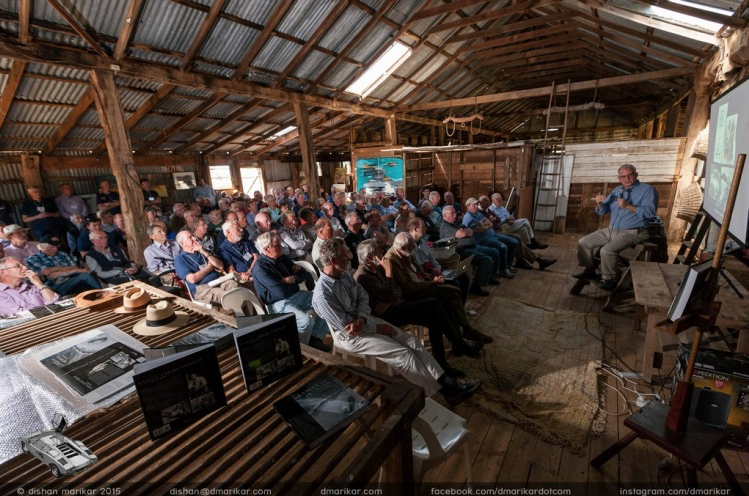 I gave a talk on Saturday, which was well attended in a wonderful former sheep-shearing shed. The discussion was lively and the audience enthusiastic, and all went well. The overall event was a great deal of fun and included visits to old farms, driving tours to wineries, a visit to Robert Bienvenue’s renovated church building (quite lovely), now a wonderful vacation home, and a special car shop in the area. Castlemaine benefited from a significant gold rush in the mid-1800s, and there is still some significant residual impact from those wonder years. 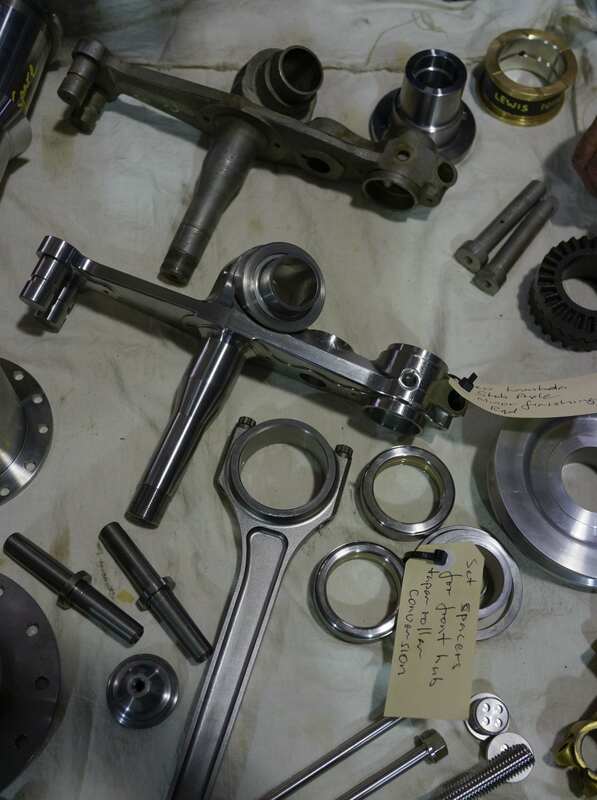 The area is known as the center of Australian automotive hot-rodding, and we visited a shop, Up the Creek, run by Grant Cowie, where there were some extraordinary cars, including a 1914 Delage Grand Prix car, a Talbot Darracq, and numerous parts remade for Lambdas. On Sunday, there was a large gathering of all the Lancia cars on the village green, and we were joined there by other Italian cars, Alfa Romeo, Ferrari, and the odd Lambo. Of interest was a man in an Alfa Guilia Super, who makes distributors for the older cars (including Aurelias) using a custom machined housing, but all contemporary Bosch components, including single points. These parts are both economical and readily available. Its worth getting for a spare to have, just drops right in. Peter Renou generously took me under his wing, and was particularly pleased when I didn’t grind the gears on his Astura, which he kindly let me drive for the afternoon. After that, it was smooth sailing… more to come about the cars driven. It was a delight to meet the Australian Lancia community, with many new friends, including (in no order) Chris and Anna Long, Peter Renou, Iain and Graeme Simpson, John Doyle (whom I last saw c. 1980 in Torino! ), David and Peter Lowe a structural engineer who worked on Sydney Opera House), Rob Alsop, Marc Bondini, Bill Smith, Alan Hornsby, Paul Vellacott (remarkably at Hershey just the week before at the Awards dinner too! ), Bill Jamieson (author of Capolavoro, a remarkably knowledgeable and modest Lambda expert), and Steve Boyle. There were several other Americans at Castlemaine, including Paul and Vicki Tullius, Neil and Elsa Pering, Steve and Lynne Petersen, all veteran Lancista from California, Paul and Lily English (bringing new energy to the fold) and Aurelia newbie, Jeff Hill. Angela Verschoor and several others came from Europe, including Joachim Griese, and John Millham and the Williamsons from England. Noel Macwhirter brought his wonderful Aprilia and has since posted many great images of the event at Castlemaine 23. Take a look! Overall, there are now few places for the historically interested Lancia community to gather – Sliding Pillar is one such event, held in Europe or England each year. Perhaps another could be Padova in Italy in the fall. Castlemaine deservedly must be on that list. The Australian Lancia community is strong and vibrant. They have been thoughtful about passing knowledge from one generation to another, a lesson for all of us to learn. 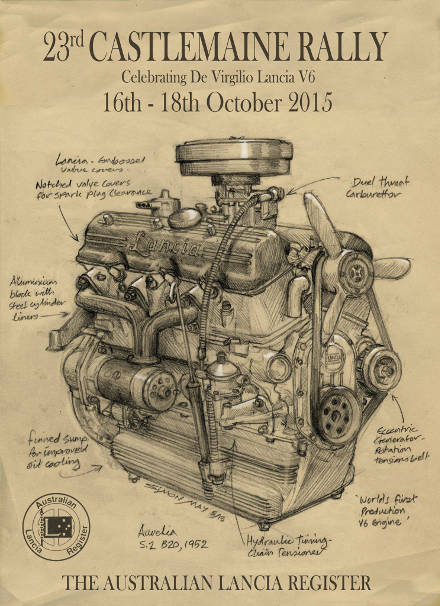 Thanks to them for the invitation and the opportunity to share Lancia stories with them. Hi Geoff, you were without question one of the most memorable Castlemaine Guests of Honour . 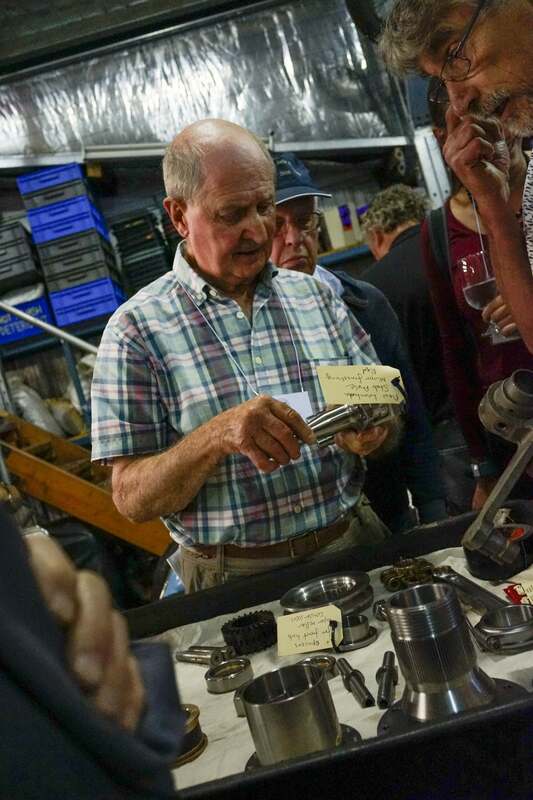 Your talk on the Saturday and your insights into Lancia and the Italian way of doing things ranked (in my opinion) with the best I have seen over the past thirty years of Castlemaine rallies. Thanks again for adding so much to what is always a great event.